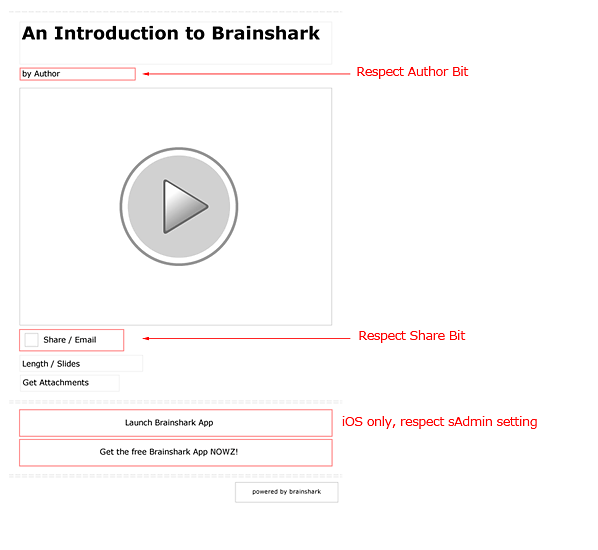 Background: Brainshark is an on-demand SaaS presentation platform. It provides friendly controls that allow you create, edit, share and analyze who's viewing your presentations. Responsibilities: Designed new features and provided design vision for a wide variety of web and mobile projects. One of the proposals made during my time at Brainshark before coming focused on the creation of SlideShark was a massive global overhaul of the Brainshark IA. Early in 2011 Brainshark was very focused on providing presentation content on a wide range of devices from Blackberry's to iPads. 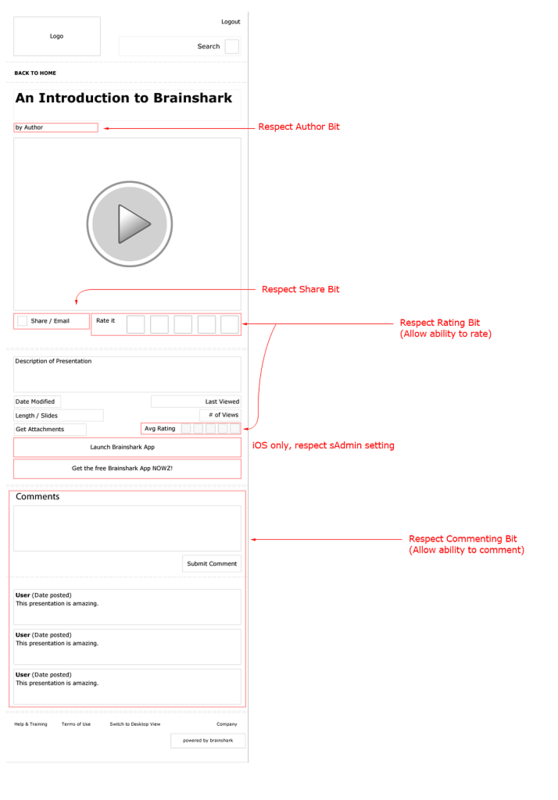 I provide a wide assortment of annotated wireframes to aid in the building of responsive video content pages. 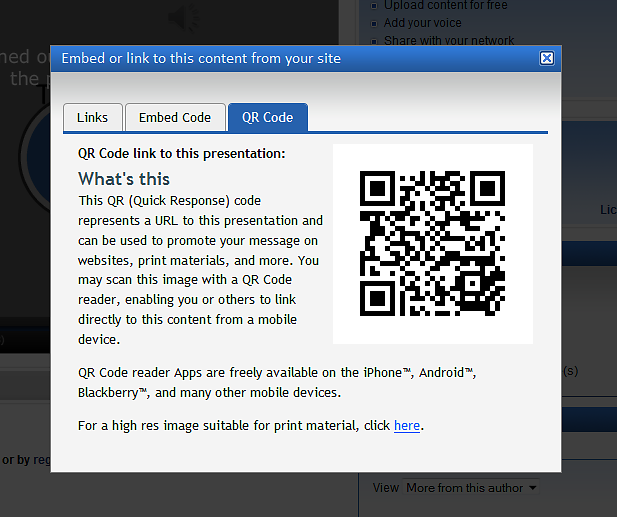 Brainshark was always willing to experiment with emerging technologies like QR codes. In user testing the original concept worked, but it confused users not familiar with the concept, I proposed a cleaner tabbed approach that was well received.